Item # 311517 Stash Points: 3,995 (?) This is the number of points you get in The Zumiez Stash for purchasing this item. Stash points are redeemable for exclusive rewards only available to Zumiez Stash members. To redeem your points check out the rewards catalog on thestash.zumiez.com. 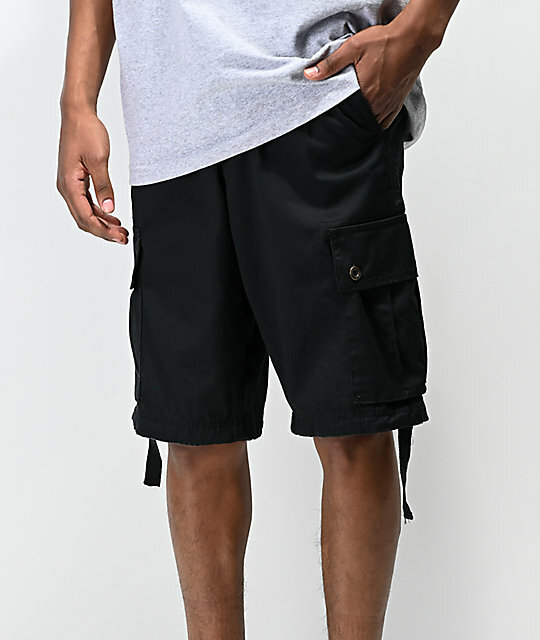 Versatile in design and aesthetic, Free World's Wreckage Black Cargo Shorts offer a classic cargo short silhouette and optional storage. 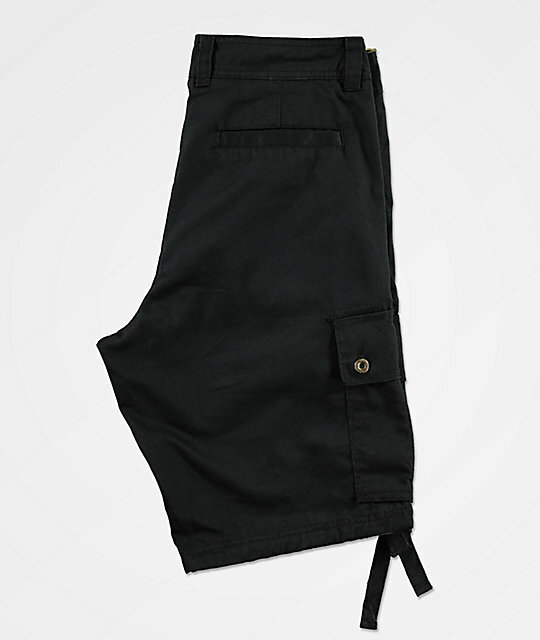 With a total of six pockets and adjustable drawstrings along the leg openings, the Wreckage helps make carrying all your daily essential items easy as well as allowing you to adjust the overall silhouette to fit your personal style. 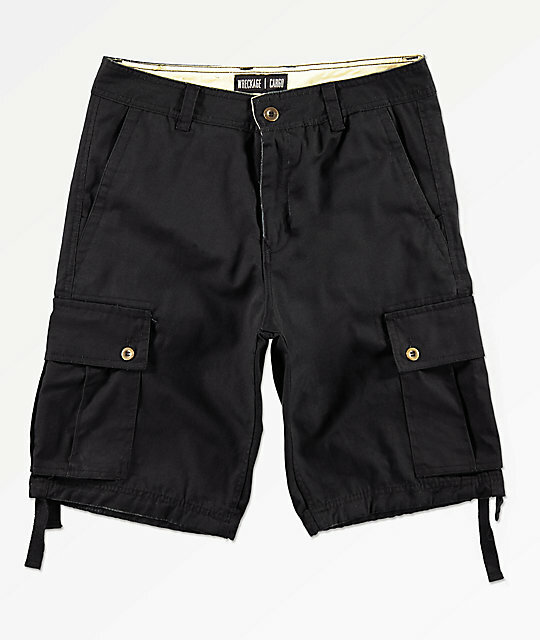 Wreckage Black Cargo Shorts from Free World. 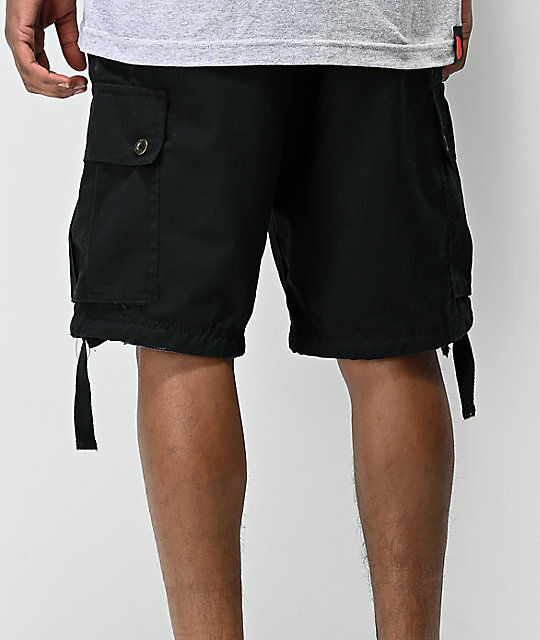 Cargo pockets on sides of legs with button up closures. Adjustable drawstring cinch leg openings.